Paris St Germain have filed an appeal at the Court of Arbitration for Sport (CAS) against the decision by European football's governing body UEFA to reopen an investigation into the French club's finances. PSG have been under UEFA's microscope ever since they were bought by Qatar Sports Investments, a Doha-based fund with close links to the Qatari royal family, in 2011. The Ligue 1 side and the Abu Dhabi-owned Manchester City were the first big clubs to test UEFA's Financial Fair Play (FFP) rules, with both teams being fined in 2014 and forced to play with restricted squads in European competition for a season. But questions about PSG's compliance with the spending controls resurfaced last year, when they stunned world football by spending more than #350million on French teenager Kylian Mbappe and Brazilian star Neymar. Compliance with FFP is overseen by the independent Club Financial Control Body (CFCB) and its chief investigator initially cleared PSG of any wrongdoing in June. That decision, however, raised eyebrows across European football and a month later CFCB chairman Jose Narciso da Cunha Rodrigues sent it back for review by the body's adjudicatory chamber, which in September announced it was referring the case back to the investigatory chamber for further investigation. But in a short statement on its website on Monday, the Lausanne-based CAS said: "The Court of Arbitration for Sport has registered an appeal filed by the French club Paris Saint-Germain against a decision rendered by the European Football Association (UEFA) in September 2018. "At the parties' request, the procedure will be conducted on a confidential basis with the exception of the final award which will be published." News of the appeal comes a week after Der Spiegel published details of UEFA's negotiations with the club the last time they were in FFP trouble. The German magazine also revealed the extent to which UEFA's FFP investigators believed PSG's Qatari owners were trying to circumvent the rules by padding the club's revenues with hugely inflated sponsorship deals. 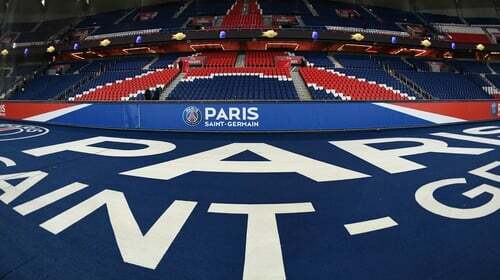 For their part, PSG and their owners have consistently denied all claims that they have cheated. And since the shopping spree in the summer of 2017, they have actually reined in their spending. This summer, manager Thomas Tuchel signed defenders Thilo Kehrer and Juan Bernat for #45.5million and sold Javier Pastore, Yuri Berchiche and Goncalo Guedes for #68.5million. But that has not stopped them racing to 12 straight wins and an 11-point lead at the top of Ligue 1, although they are currently third in their Champions League group behind Liverpool and Napoli, with a visit to the Italian side on Tuesday and a home match against Jurgen Klopp's men later this month.